What Is The Most Expensive Part Of A Kitchen Remodel? Kitchen Cabinets and Granite Countertops, Pompano Beach FL > Blog > Blog > What Is The Most Expensive Part Of A Kitchen Remodel? Questions come in floods when you are considering remodeling your kitchen. Most importantly homeowners want to know: how much will it cost, and how can I save some money and still generate excellent results? Perhaps you’ve already received an estimate for your kitchen remodel near $30,000 and you’re wondering… how can I make this work? Here we break down the most expensive thing about remodeling your kitchen, plus plenty of tips and tricks to help you cut corners and save money. The most expensive components of a kitchen remodel vary depending on a few things. The most important factor that influences cost is how big of a kitchen remodel you have your eyes prized on. If you plan to make smaller changes, or only change some elements in your kitchen, the average cost of minor kitchen remodels is around $18,500. 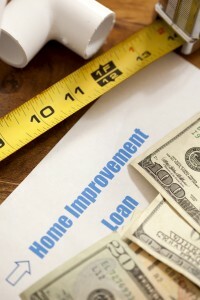 If you plan to make larger changes in your kitchen such as redoing the countertops, floors, cabinets, and basically everything else, the average homeowner spends around $54,000 for larger kitchen renovations. Where does the majority of this money go? The most expensive element of any kitchen remodel is usually the cabinets, which on average cost upwards of $15,000. In second place are new appliances, costing on average around $8,200. The countertops are the next greatest expense, generally costing just under $6,000. If your kitchen remodeling requires electrical work you are going to add a considerable expense to the overall project. Plumbing and electrical work can quickly become one of your greatest expenses if you are not careful. The size of your kitchen, the extent of your remodeling, and even the city you live in will vastly change these numbers. Where Can You Cut Corners When Renovating Your Kitchen On A Budget? There are a number of ways you can cut back costs remodeling your kitchen, even on the biggest expenses of all such as countertops and cabinets. These 5 tips and tricks are guaranteed to help you score the kitchen of your dreams on a budget. Before you order any materials it’s important to sit down and set a realistic budget. Then, figure out how much everything you want is going to cost. Is it within budget? Usually the answer is no, which is why it’s so important to sit down and address this before you get started. Which elements on your list are most important to you, and which could you do without? Also, keep in mind that most renovations go over budget, not under. Anything that attaches to a gas or water line should be left as-is if you are looking to save money on kitchen renovations. Moving these lines requires hiring yet another professional, an electrician or plumber, to redirect lines. People often underestimate just how much this may cost. Unless your kitchen really needs to have these appliances moved there are other ways you can upgrade your kitchen without changing the overall footprint. Cabinets are the greatest expense in the average kitchen remodel. Part of the reason cabinets have a high price tag is that they are meant to outlive the fridge, and the oven too. Cabinets can look great for a solid 15-20 years, or more. Before investing in new cabinets check out your current cabinetry and see if they can be repaired instead of replaced. If cabinet doors still open and close properly, lack signs of warping or mold, and are overall fully functional, they likely don’t need to be replaced just yet. Repairing old cabinets is less expensive, and can give your cabinets a completely new and spruced up appearance. Changing out hardware and adding a fresh coat of paint grants you the look of new cabinets for less. Never assume that your local big-box retailer has the lowest price. Advertisements may make you think that you are getting the best deal, but that’s not always the case. By shopping around before making a purchase you will almost always save a good deal of money. If you are looking to save money on your renovations and don’t mind doing some footwork yourself you can save a considerable amount of money by buying your materials wholesale. Getting your materials from the same place the contractors shop will save you tons of money in markup. Buying countertops, flooring, cabinets, and other upgrades at wholesale price will take a big chunk out of your overall bill. Tops Kitchen Cabinet is here to help you save money on your kitchen remodel. We offer the latest kitchen cabinets, countertops, accessories and more at wholesale prices you are sure to love!